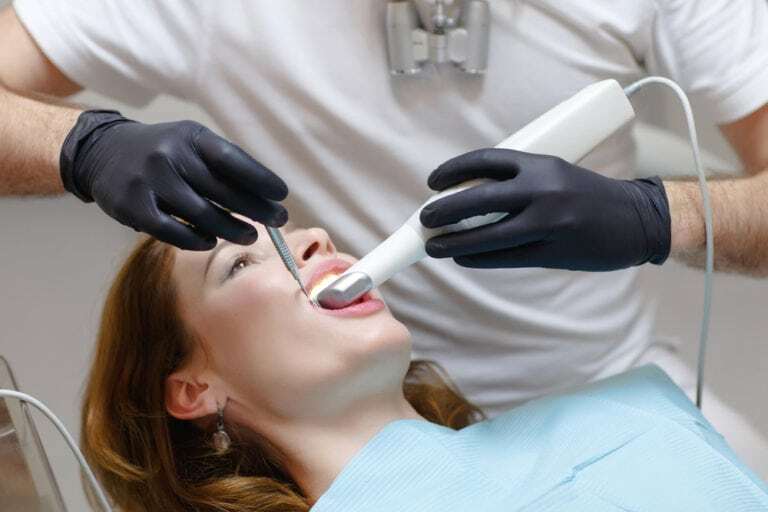 iTero enables our doctors to take a 3D digital scan of our patient’s teeth and bite, make adjustments in real time, and transmit the file wirelessly for processing. It allows our dentists to take an optical impression of the tooth instead of filling a tray with gooey impression material that the patient must hold in their mouth until it hardens. The digital scanning takes just a few minutes. The benefits of using the iTero are advanced precision and no unpleasant or messy impressions.